Also looking for the best way to travel from Sihanoukville to Kampot - leave in the morning - overnight & then back to Sihanoukville the next day - taxi? Sihanoukville is a large Chinese construction site. Dont even go there. Just one question - why stay in Sihanoukville (SHV) at all ? However, the road between SHV and Kampot is quite rough, so only do a return trip if you really must. It would make better sense to do a triangle PP-SHV-Kampot-PP, if you really have to go to SHV. The only reason to visit is to leave! Take this hilarious back and forth in The Simpsons that I've altered slightly for comedic effect. Homer: Awww. This isn't gonna be about Jesus, is it? 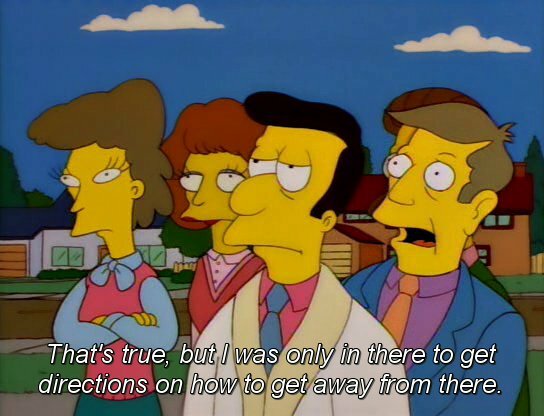 Reverend Lovejoy: All things are about Jesus, Homer. Except this. Your son has been working in a Sihanoukville. Helen Lovejoy: Principal Skinner saw him with his own eyes. Principal Skinner: [appears from behind Reverend Lovejoy] That's true, but I was only in there to get directions on how to get away from there. Ton of Aussies in Kampot. Many are refugees from Sihanoukville. Try Raging Bull Sports Bar, Bundy bar or Salt Bar to name a few, all run by Aussie's with plenty of Aussie patrons. Thanks for your help - unfortunately - we had already booked & paid for this trip before we realised how bad it was supposed to now be - although our accom (the Secret Garden) still has amazing reviews so it can't be too bad for 3 nights right! Beachfront & cocktails for 3 days - I can put up with that! Hahahaha - makes me want to go just to see how bad it is!!! Not gonna lie, I'd take the financial hit and go straight to Kampot, it's really not worth spending more time in a dusty, loud, polluted, smelly construction site. The water and electricity might not work. After 1 hour I had transport booked for the following day. You can always make money but you can't always make time.